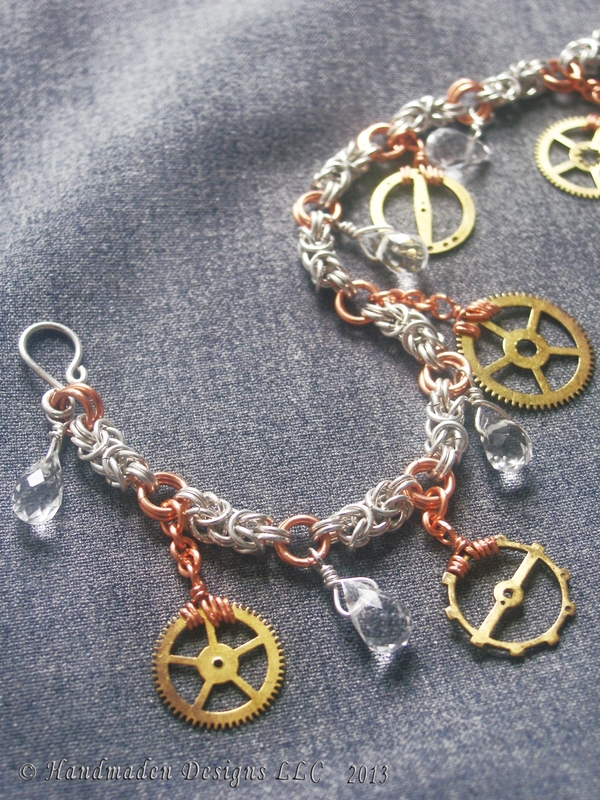 A whimsicle, one-of-a-kind charm bracelet, this bracelet combines the beauty of chainmaille with the cleverness of Steampunk. 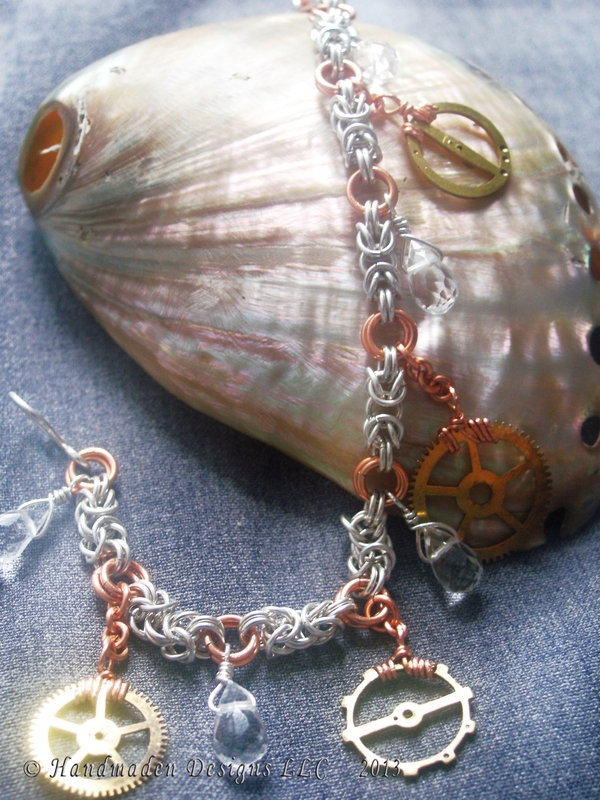 The chain is a sterling silver and copper segmented Byzantine chain with brass gears and Rock Crystal (flawless clear Quartz) briolettes for charms. 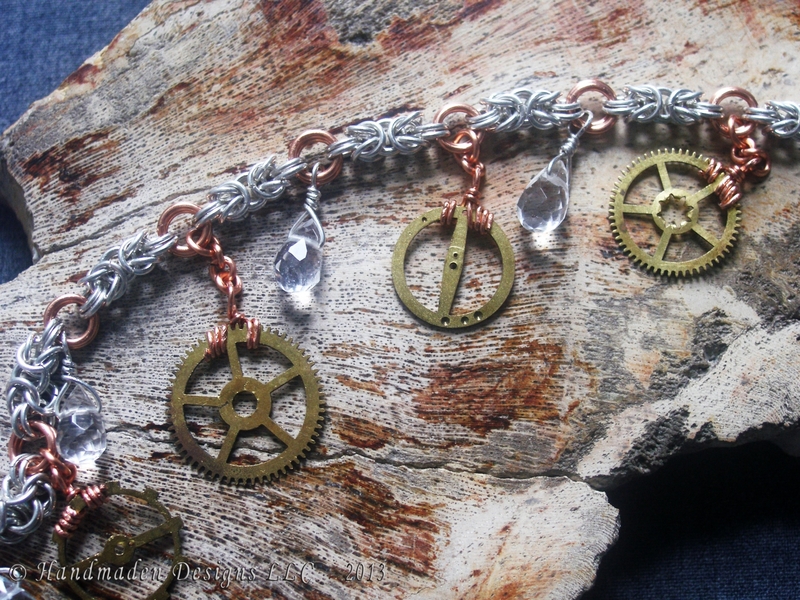 The bracelet measures at just over 8 inches long.